We’re in India!! Travel was long but remarkably smooth, including immigration and customs. New Delhi’s Indira Gandhi Aiprort is beautiful and looks brand new. We met our driver, Ashok, at the arrivals gate. He speaks a fair amount of English but he’s pretty soft-spoken/shy– we’re going to be spending nine days together, so we’ve got plenty of time to get to know one another. Our first hotel is Hotel Jivitesh, which is clean and very friendly. 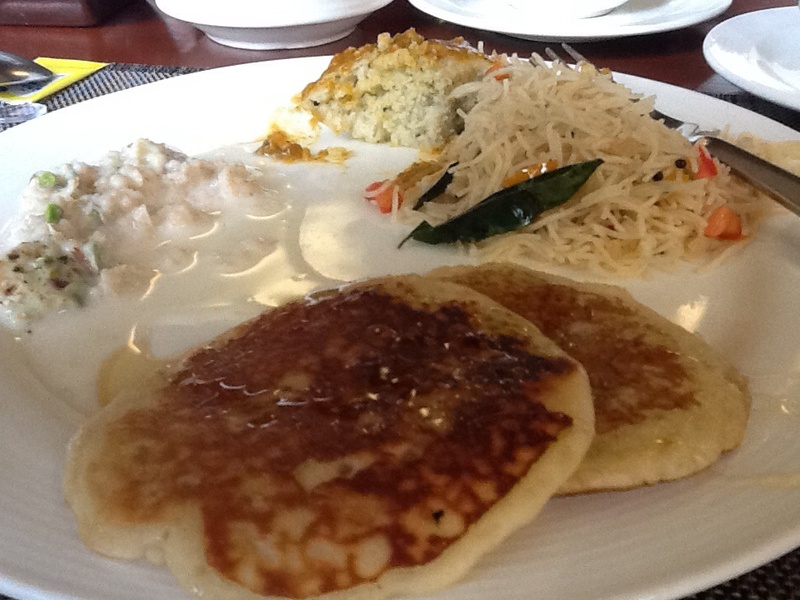 Our breakfast was all vegetarian and quite tasty, mostly savory dishes. The little dumpling in the picture above is like polenta; the pancakes are just that. They’re eggless though, so nothing like ihop’s. 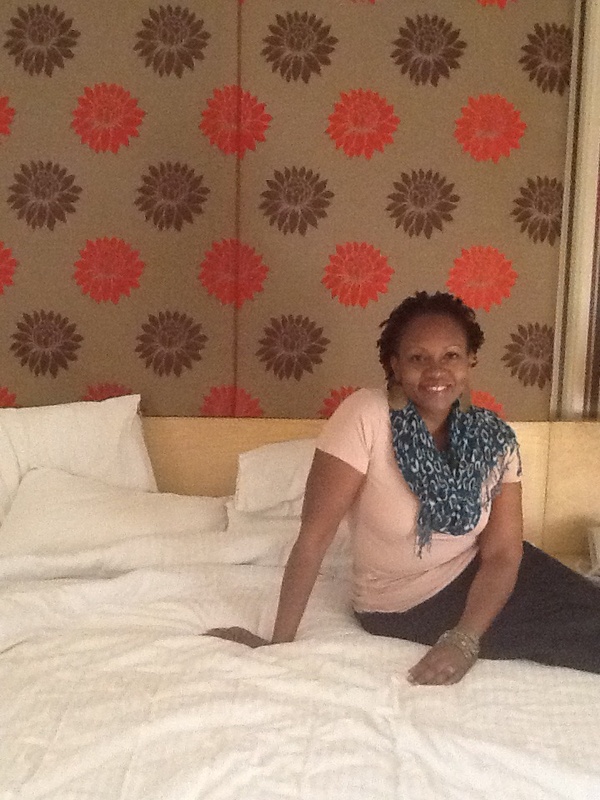 The other picture is me in front of the lotus headboard in our room. Thanks. I had to don a hat from the minute I headed outside though. The temperature here is over 100.